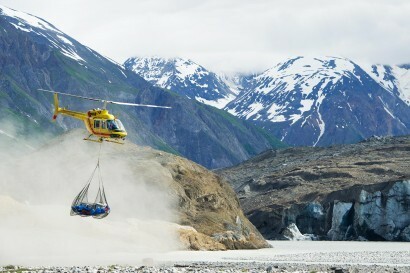 Frothing water, calving glaciers, iceberg-crammed lakes, waterfalls and hanging valleys – Yukon’s professional guides can deliver on all these. 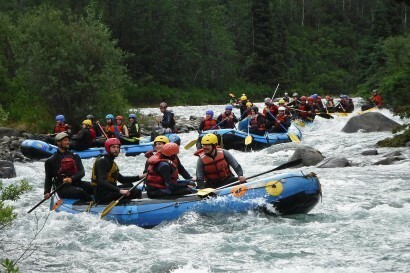 Class III and IV rafting trips bring together wilderness treasures with heart-pumping and life-changing experiences. 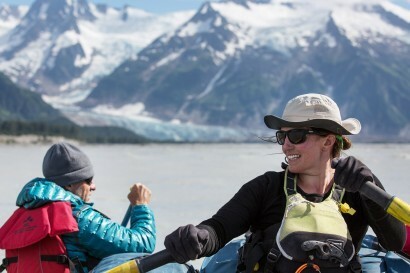 Whether you join up with a scheduled multi-day trip on a major wilderness river or customize your own family rafting adventure, Yukon companies and their expert guides take care of the details. You just take care of your own stuff, like viewing the bald eagles, grizzlies and caribou, the mountainsides of wildflowers and the sheer beauty of pristine wilderness. 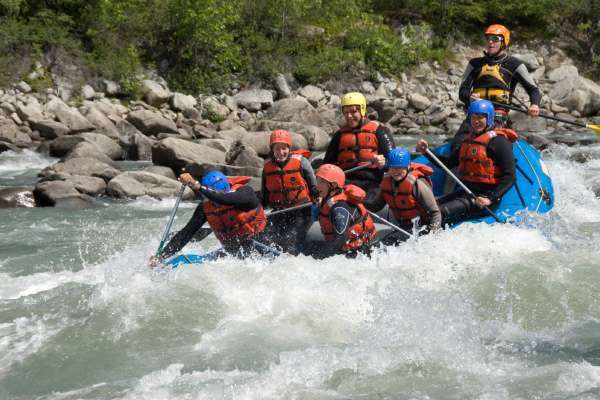 Experience that unique sense of “escape” and a connection to ever-changing rivers carving their way deeper into mountain canyons — and into your soul. 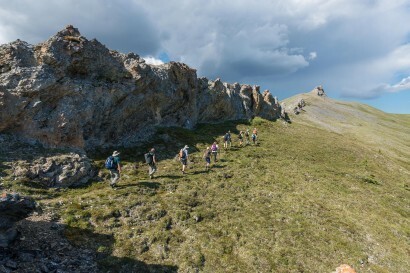 Float to the Arctic Ocean enjoying wildlife, wildflowers, hiking and culture beneath the midnight sun! Imagine yourself floating and hiking through the world's largest non-polar ice cap in a Himalaya-like setting. 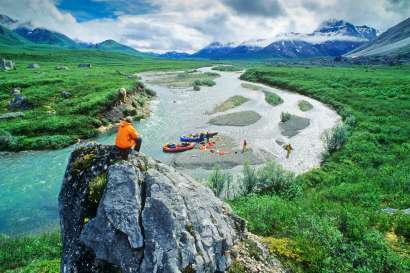 Exciting whitewater rafting, glorious hiking, wildlife viewing, wildflowers, photography beneath the midnight sun! 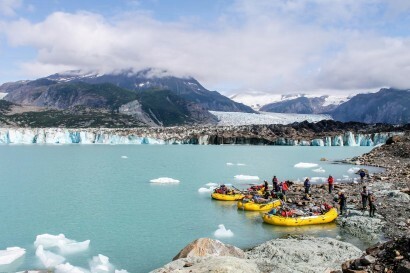 Picture yourself floating through the world's largest non-polar ice cap and bio preserve. 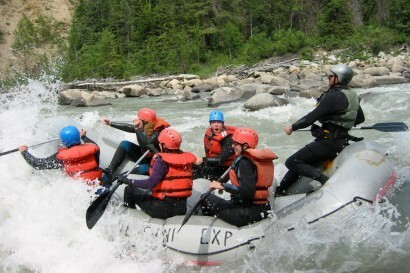 If you prefer to learn, we offer plenty of courses that include rafting, canoeing, kayaking, packrafting and rescue. 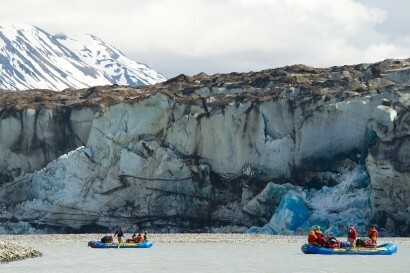 Journey through the ice age surrounded by glaciers, icebergs and wildlife on the #1 River Journey in the world. Perfect for the whole family, this exciting Class III/IV river provides beautiful scenery and iconic wildlife viewing.